Think Boat Party… Think Pukka Up. 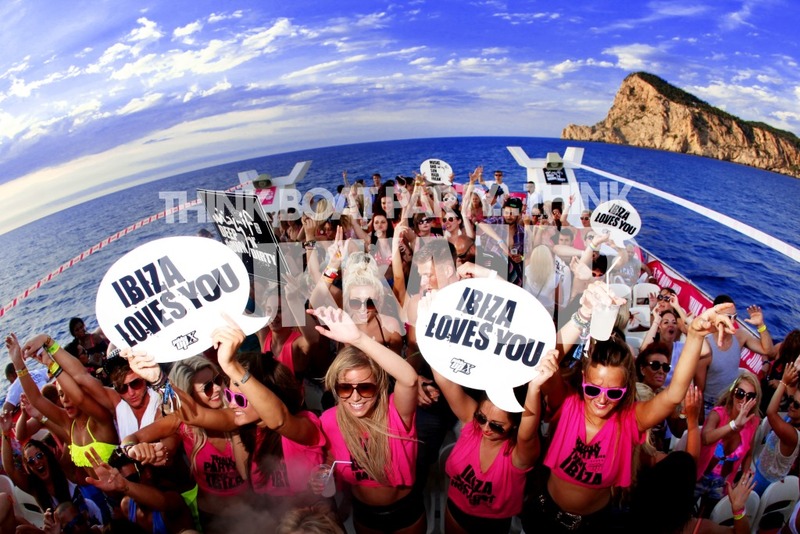 Following a killer season in 2014 where they sailed 150+ boats along the shores of Ibiza for tens of thousands of discerning clubbers, the world’s biggest boat party, Pukka Up, will return to the party isle in from 9 June with its weekly, infamous Tuesday boat parties. As ever, and in true Pukka Up party style, clubbers have two boat party choices – the trademark fleet of weekly sunset boat parties, also dubbed as ‘The Worlds Biggest Boat Party’. Or the daytime VIP catamaran cruise which sails also on Tuesdays, but at 2pm from across the Island from Playa d’en Bossa, with a slightly more glamorous and relaxing atmosphere. Each party is renowned for its own distinct flavor of deep and uplifting house music, played by the Pukka Up Ibiza resident DJs. 2015 welcomes back the hugely successful Pukka Up AWOL parties on one of Ibiza’s biggest and most stylish yachts. 2014 featured a Radio 1 special with Scott Mills, Danny Howard’s VIP Yacht, and The Zoo Project Closing Special; and will give clubbers an idea of what is in store for 2015. With the ‘one-off’ nature of these events, tickets are limited and sell out fast, so keep an eye on www.pukkaup.com or follow @pukka_up on Twitter for further announcements. Super early bird tickets priced at £32.50 / €39 will be on sale from 1 January from www.pukkaup.com and www.ibiza-spotlight.co.uk. This deep discounted rate is available in January only, and as prices will increase over the following months, it’d be mad not to snap one of these up. Any tickets purchased in January from either site will be valid for any date in Ibiza, so buy now and pick a date later! Pukka Up always delivers the best after parties too, and with entry included in the price of the boat party ticket, it’s an absolute steal. The new season’s carry-ons are being kept tightly under wraps until February, but based on past events where Pukka Up teamed up with Carl Cox at Space, Together at Amnesia, Aoki’s Playhouse at Pacha and We Are Rockstars at Ibiza Rocks, the announcements will not disappoint!